Thank you, Stacy Hawkins Adams for hosting me on your blog! Stacy, you inspire me constantly! 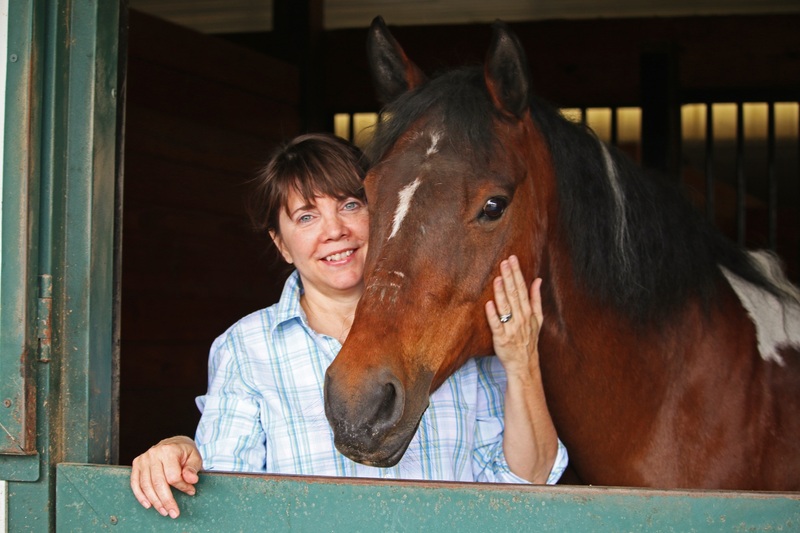 Meet award-winning author Gigi Amateau. Gigi has penned seven books for children and young adults and has a heart for telling stories that help youths feel connected and valued. Her most recent novel, Two for Joy, is a three-generational story about family caregiving and about how a child and an elder accept each other wholly. Enjoy her Q&A with LifeUntapped, in which she details her author journey and shares about her books and characters. Angel the pony and me. Sharing this beautiful post by Bruce Black. One way my yoga practice is rooted is with my pony. She’s been battling a neurological disorder for about a year, so our time together is no longer about trotting or cantering or getting out in the woods. These days we walk beside each other in the covered ring. I sing Train & Ray LaMontagne songs to keep time. Angel steps carefully and with intent, not fully aware of where her hind end is in space. We walk for about 20 minutes, then end always with a short yoga practice, one where she keeps me rooted and grounded. Warrior I, Warrior II, Exalted Warrior, Reverse Triangle, King Dancer. Change sides; repeat. Big sigh from pony; big sigh from me. Namaste. I love the image of a tree that Patanjali paints with a single word: rooted. And I love how he suggests our practice is like a tree, rooted deeply into the earth, expanding toward the sky, bending with the wind, swaying, dancing, celebrating the miracle of our bodies, the joy of life, the mystery of the divine. But what does it mean to be firmly rooted? Perhaps it means feeling not just that our roots are planted in the earth, but that they are held in the earth’s embrace in such a way that they form a strong foundation for our practice and our life. How would you describe the “roots” of your practice?